The sun came out last week, the snow melted, the brooks and rivers came up and I wanted to go fishing. But alas, this is just a teaser, the snow came back, and river I fish doesn’t open for another month... now what do I do. Well I started thinking about this "fisher of men" idea again since I've got some time before I can be a fisher of fish again. I read Jesus call to Simon and Andrew in Mark's Gospel again last night, "Come, be my disciples, and I will show you how to fish for people." (1:17). A big part of my Jesus community is wrestling with the idea of how we disciple people when they meet Jesus. Clearly, Jesus tells the disciples just before he heads back home, go and make disciples of all the nations, so that is a big part of what we have to do as his followers. But then I got confused, it's ok, that happens a lot. I wonder if everyone who knows Jesus is called to be a disciple. The job description of a disciple is not all that appealing for one; homeless, no food, no extra shirt, always getting accused of things, probably dying a torturous lonely death – where do I sign up? It appears, too, that Jesus calls specific people to be disciples, not everyone that met Him. In the first few chapters of Mark we see huge crowds starting to follow Jesus, a bunch of people get healed or have demons cast out, everyone is amazed by his teaching and authority, but most of them just get sent home. Only 12 get to hang around most of the time. Now obviously the crowds "met" Jesus, they saw him in action, they heard what he taught. They couldn't deny the reality of who he was, but there is no indication that they all became disciples. So my confusion is in the idea that we are supposed to "disciple" every person the way Jesus did. But is that true? Is every person called to be a disciple or are we putting an un-biblical pressure on people? Are we unfairly yoking people to the idea that we are all to become disciples. If we look at Jesus analogy of "fisher's of men" and the occasion where he used this to teach it might paint a different picture. 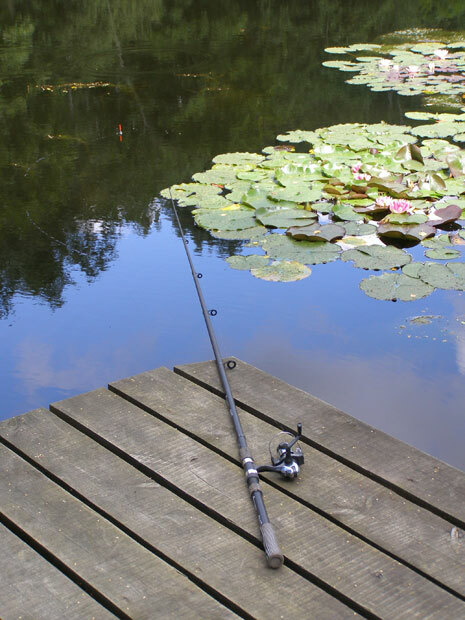 One of the method's of fishing is with a hook and worm. 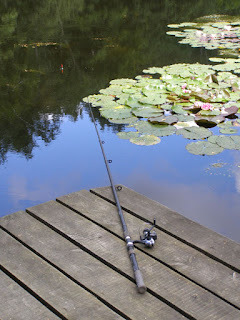 It's slow, you do a lot of sitting around waiting for a bite, lots of days you go home with nothing more that bug bites. One of the recent approaches to discipleship is very similar to that, you spend time with people, you don't really do anything too active about sharing the Gospel, befriend people, build a relationship over a period of time, then maybe throw out the bait and see if they bite. It works. It's good; people meet Jesus. Maybe they even get excited and want to be discipled more. That's one approach, it's the one many of uslike more, it's manageable, we can fit it into our schedule, do it in our spare time, do it while we do other things we like, fishing for instance. It actually helps people follow Jesus pretty well sometimes. The second part of it is even Jesus-like, he spent quite a bit of time with his friends. But he didn't catch them like this, he just walked up and called them. One cast, one bite, hooked for good. That's very different. Of course he was Jesus so we'll give him the benefit of the doubt that he's better at fishing than we are. ‘Simon come follow me and bring your brother.’ Matt, quit the tax racket and lets go. ‘Zack, get out of the tree, we’re going to have lunch.’ ‘Lazurus… you’re not dead, come out of that cave.’ Jesus was the king of one liners. My friend Rick and I were at the river one day and came across a pool full of trout, we caught 13 trout in 20 minutes (we put half them back), it seemed like every cast was another fish. But that rarely happens for me, apparently Jesus did it all the time. When Jesus stops in a crowd and calls a person out by name, they have this immediate life altering moment and go in another direction. But let’s go back to those first 4 disciples for a minute. He called 4 fishermen to teach them to be fishers of people. These guys did not fish with a hook and line, they used nets. They were not 'sportfishermen', they were fishing for their life. If they didn't catch fish they didn't live. They used nets to catch as many fish at one time as they could. In one example where Jesus was trying to teach them something they put down their nets and caught so many fish their nets began to tear, there boat began to sink (with a little help from the creator of course, since their skills at fishing didn't do them much good that day). This seems more like the type of fishing Jesus was talking about to me. In so many accounts of Jesus doing amazing things, huge crowds are following him. He doesn't ask them all to be disciples. Sometimes they become evangelists and go back to tell their town about it. Sometimes they become servants and laborers who go help the poor. Sometimes they just get to walk away and sin no more. In John 12: 44 Jesus says, “if you trust me, you are trusting not only me, but also God who sent me. Is trust me (or believe me) different than follow me. Later he says in v. 48, “I will not judge those who hear me but don’t obey me, for I have come to save the world not to Judge it. But all who reject me and my message will be judged on the day of judgment by the truth I have spoken.” And he also says that anyone who calls on His name will be saved. Before you freak out and think I’m calling for a free for all, do whatever you want brand of faith, chill out, I know what Jesus taught, I know what Paul taught. I think there are things that we should and should not do if we believe or follow Jesus (if those are different). But I am wondering if I’ve been projecting my idea of following Jesus like the disciples did (which let’s be honest, I’m not really doing that well myself) onto others, people in my church community who are not actually called to be disciples. Are some called to be fishers of men and some called to be fish. The thief on the cross never got discipled or to be a disciple, he just got to go to paradise because he believed Jesus was who he said he was. So here is my desire to see everyone “discipled” actually scaring away some fish? When I was a kid I always wanted to throw rocks in the river because fishing with worms is soooo slow sometimes. My dad didn’t like that, he said it scared away the fish. Maybe I’ve been inadvertently through some judgment stones by thinking everyone is supposed to be a disciple.